Justin Smith is a leading Wellington based barrister who handles general commercial litigation at all levels. 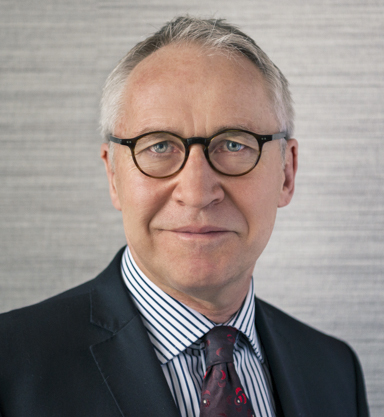 He is a former Crown Prosecutor (1982-1986), was a partner at Kensington Swan at Wellington and Auckland (1988-1994) and a partner at Russell McVeagh in Wellington (1994-2007). He was a member of Russell McVeagh’s Board of Management from 2001 to 2004 and the Chairman of that Board from 2004-2006. He went to the independent bar in 2007 and was appointed Queen’s Counsel in 2013. He is a Council member of the New Zealand Bar Association. He has represented numerous clients (individuals, voluntary associations, small businesses to the largest national and international corporates) at all levels (including tribunals, arbitral tribunals, select committees, ministerial inquiries, High Court, Court of Appeal, Supreme Court). litigation involving infringement of copyright, trademarks, passing off, fair trading, business software piracy. Counsel for Kuwait Finance House in Kuwait Finance House (Bahrain) BSC v Teece  NZHC 1308 (enforceability in New Zealand of judgment obtained in the Bahrain Chamber for Dispute Resolution (BCDR) against the defendant, a New Zealand citizen).